Great Yellow Brick is South Africa’s only LEGO® Certified Store, giving kids and the young at heart the complete LEGO experience. 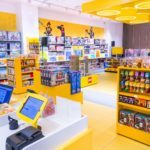 Multi-channel LEGO retailer in Johannesburg with one brick and mortar shop and a Shopify ecommerce store. Sell around the store with Vend on iPad. Offer a range of unique promotions. Access store information from anywhere. Create customized reports for better insights. Selling one of the world’s most popular products, Great Yellow Brick needed to create an amazing customer experience with a seamless checkout. The Great Yellow Brick team wanted a solution that would integrate with a variety of other world-class retail apps, and made sure they had the time and flexibility to create amazing experiences for their customers. Great Yellow Brick chose Vend for its cloud-based flexibility, range of customer-centric features, and partnerships with the world’s best retail tools. Easy checkout, mobile sales, customer data capture, advanced reporting, and promotions that keep customers coming back again and again. Vend has made it easy for the team to offer a wide range of promotions. 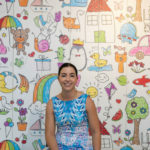 “We’ve set up promotions where if you spend a certain amount on a certain LEGO theme you get a free gift, and we’ve also setup promotions that are customer group based,” explains Hayley. The original source of this content is from the Vend website and can be found here. Based in Cape Town, Simon is on a mission to help small businesses move from base camp to success. With his financial skills and the amazing cloud based software out there, running a business becomes so much easier.